Ok, here comes a fun one! 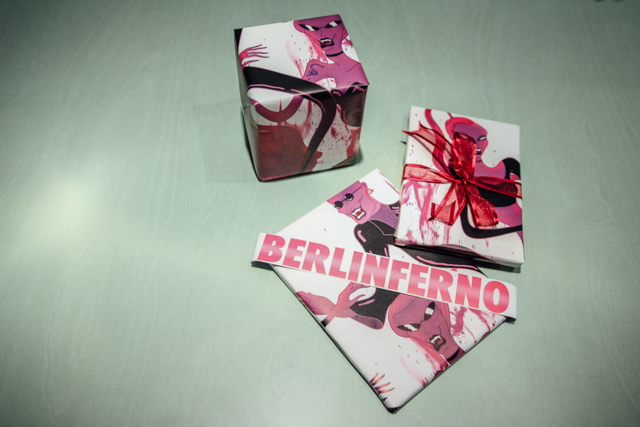 Yasmin and I had a funny afternoon yesterday wrapping presents “Berlin-style”. 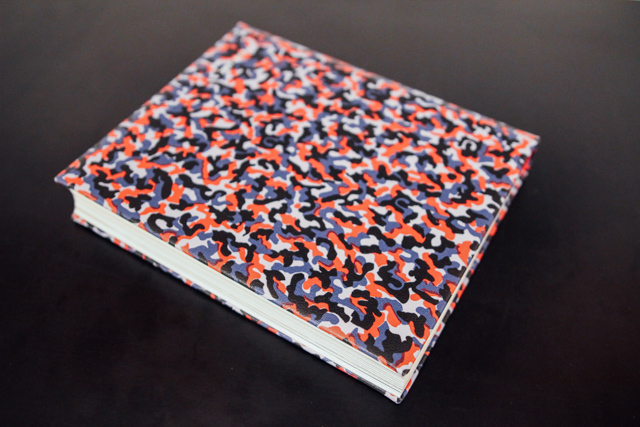 We already gave you a guide of cool Berlin Christmas presents and we thought now is the time to wrap them accordingly. 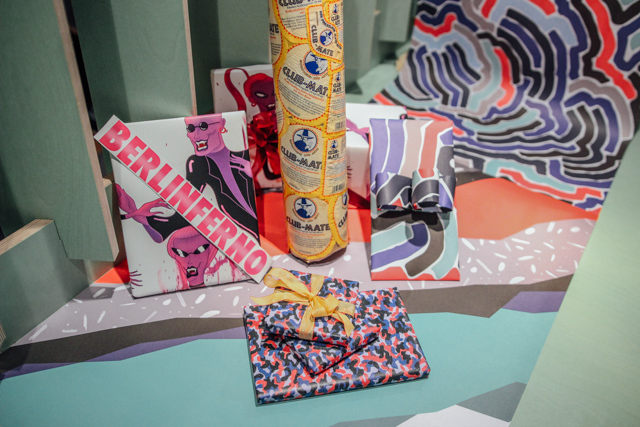 We picked a couple of iconic and very Berlin-specific wrapping styles that will be easy for you to recreate and it will definitely make your presents under the tree the coolest ones! 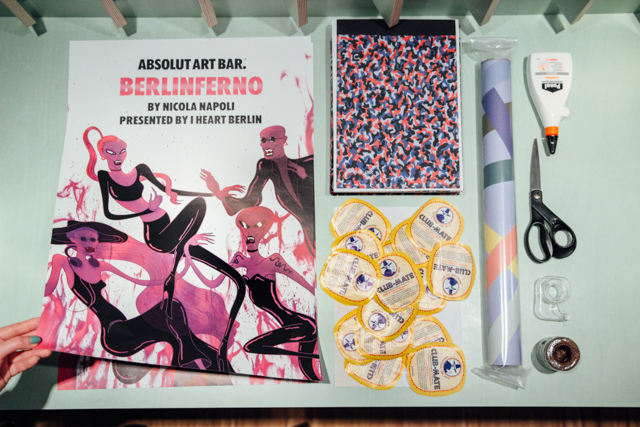 So brace yourself, here comes our guide how to wrap your presents Berlin-style. Our first one is a no-brainer! 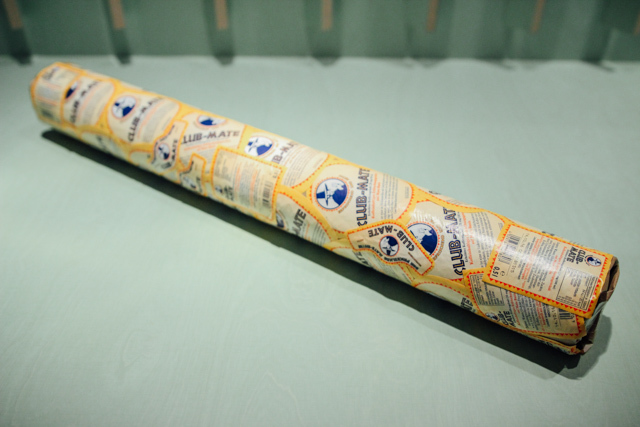 The iconic camouflage pattern on the seats of the old-style subways of the BVG are perfect to wrap presents in. 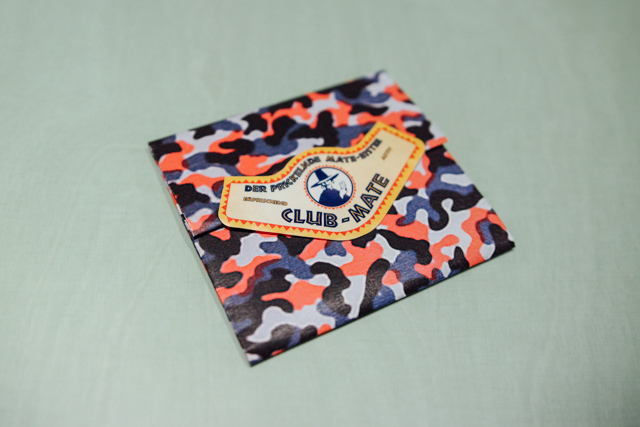 While the BVG offers quite a bit of merch with this pattern, so far wrapping paper is not one of it. 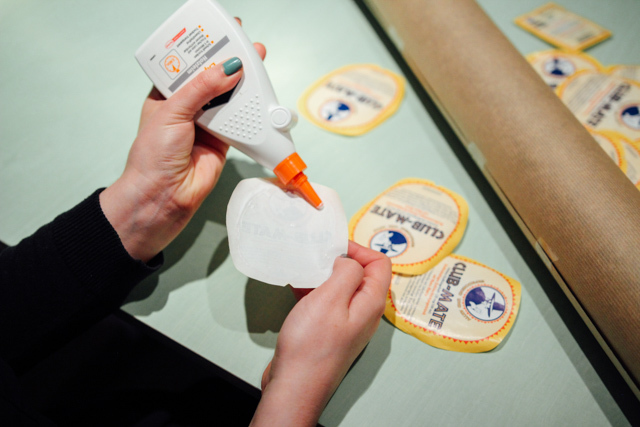 So we have to be crafty! Basically what you have to do is take a photo of an empty seat and go to a copy show and print it out in color. It’s really as easy as that. I had an even easier trick: Sara from FindingBerlin had this book lying around that already had the BVG pattern as a cover so I just color copied that. Obviously a yellow ribbon is the best match to add the finishing touch! 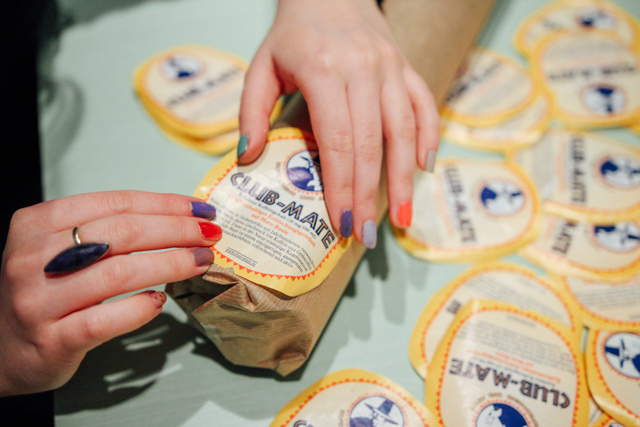 I think no other place on Earth consumes more Club Mate than Berlin. It’s basically mandatory to like this drink. 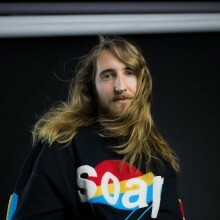 I personally can’t bring myself to like it, but I know everyone else does. 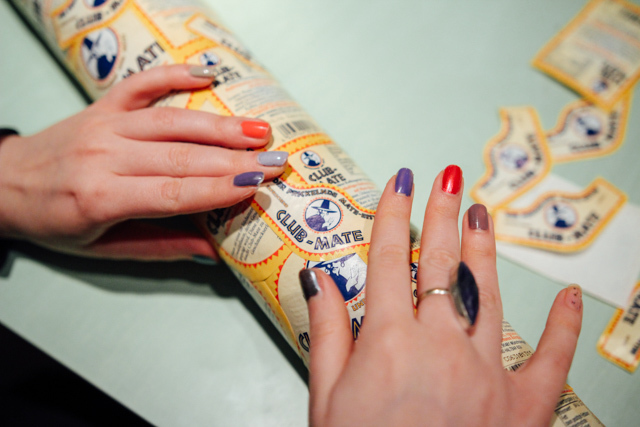 So what could be more Berlin than to wrap your present in Club Mate labels? It’s quite easy to remove the labels from the bottles, you just have to drown the bottles in water for a little while and they’ll come off in one piece. 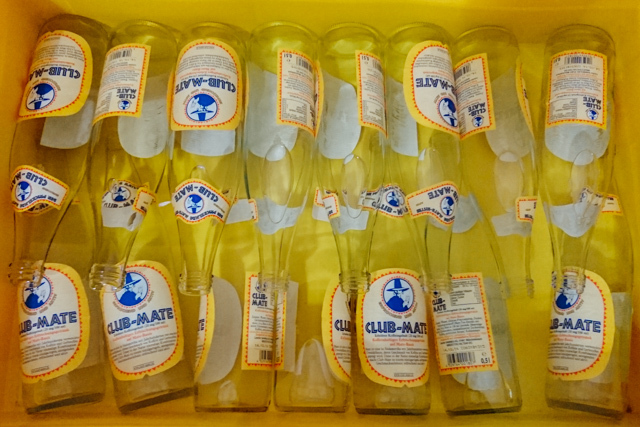 I drowned an entire box of CM bottles because we had one from our Xmas party. First I wrapped the present with a neutral wrapping paper and than covered it with the labels by gluing them on until you couldn’t see much of the paper underneath. Looks pretty awesome! 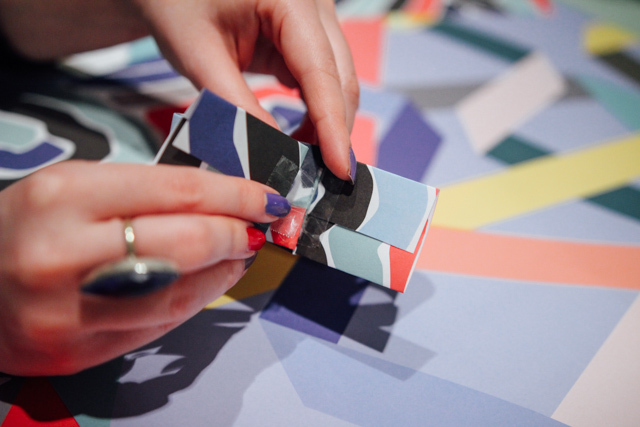 If you think it’s too much work you can also just take one label and combine it with another paper, make it the sticker on top instead of a bow. 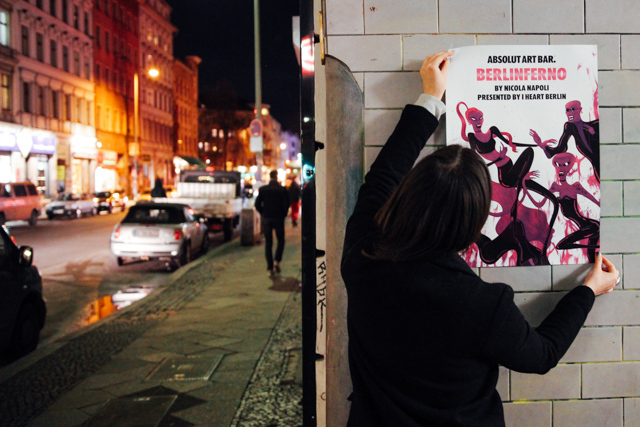 Berlin’s streets are full of posters for all kinds of events and parties. 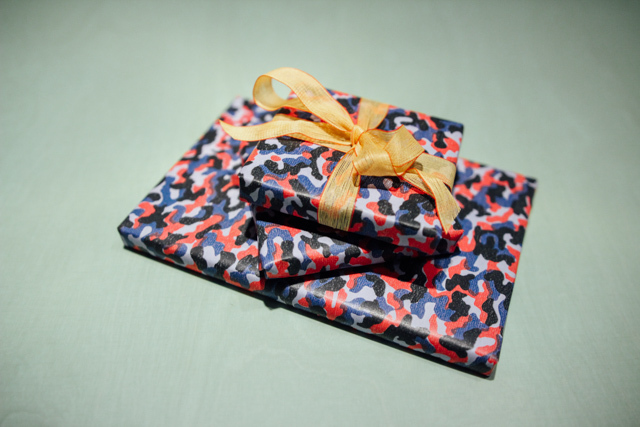 These make for really amazing looking presents! You have to find one that is easy enough to remove without tearing. 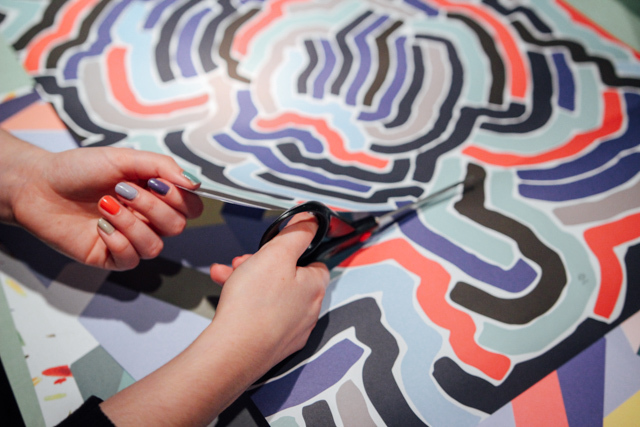 Those that have been glued on top of each other over and over will be harder to remove. 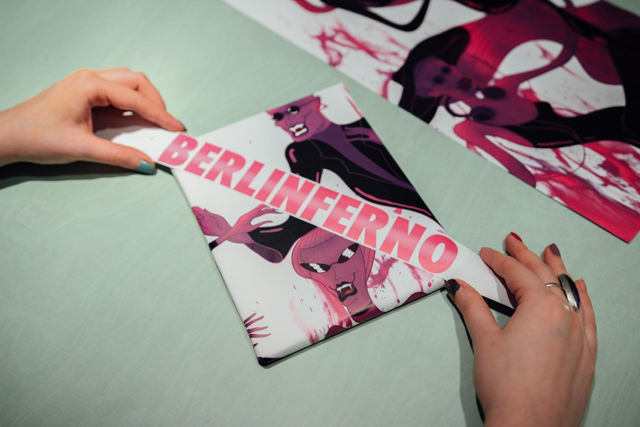 For our wrapping sessions we used one of the posters from our Berlinferno event in August. We cut out the headline lettering and used it as a kind of sash to give it some dimension. 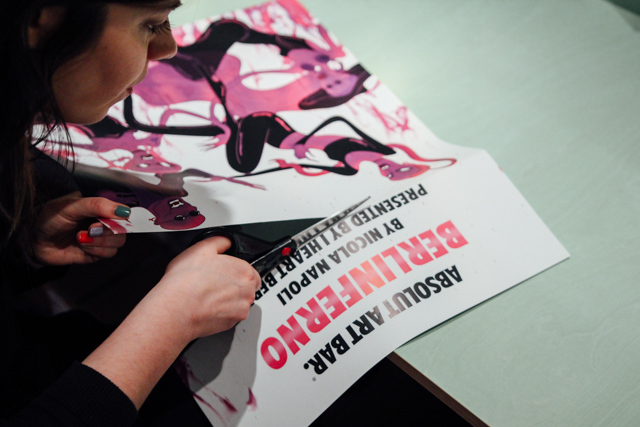 You can play around with the positions of the motive of the poster to gain maximum awesomeness. It’s a fun one! 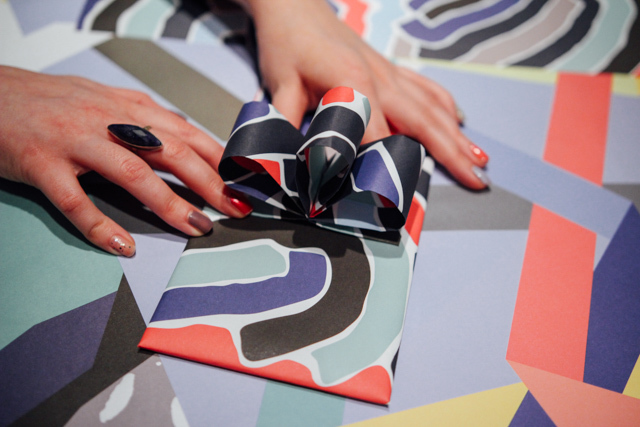 Of course Berlin stands also for cool design and if you are less into crafty style and more into slick designy style you should look for a more hip wrapping paper. 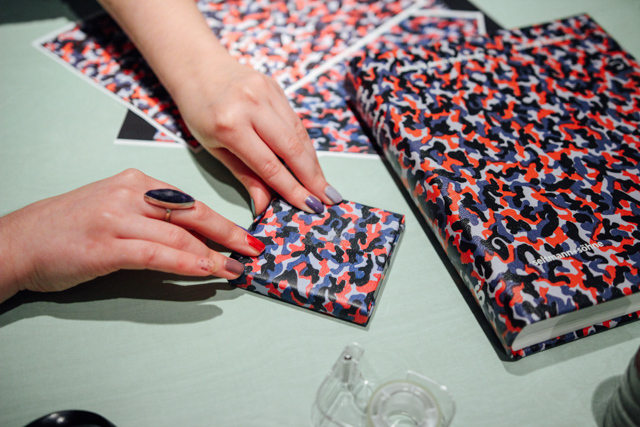 Berlin has tons of places where you can get stylish paper, for instance at places like Hallesches Haus, Granit, KaDeWe, Schee or Modulor. 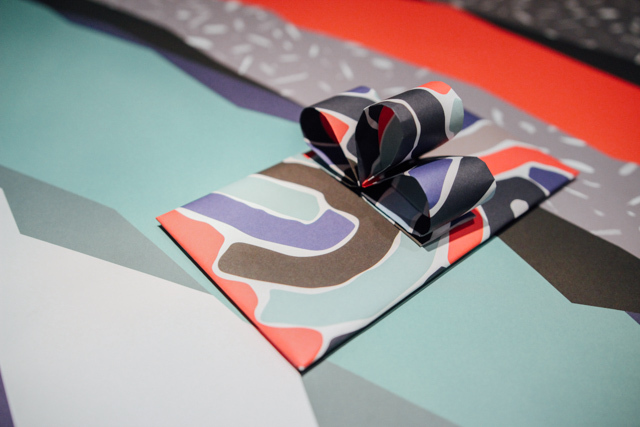 We also recommend to check out the annual wrapping station at Bikini Berlin for cool designer edition wrapping paper they usually give out for free! 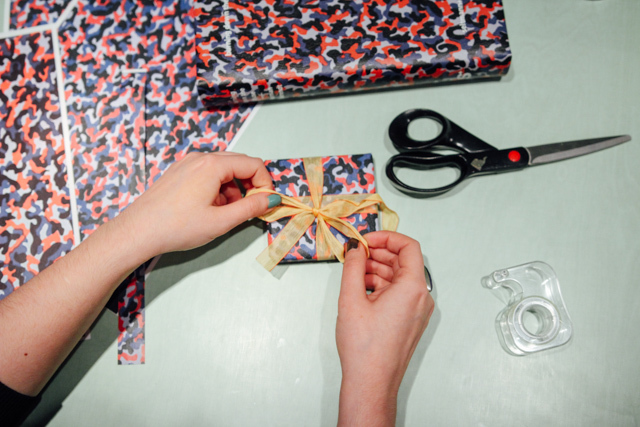 And how will you wrap your presents this year?